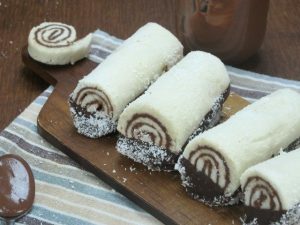 Coconut and Nutella rolls: a sweet treat that takes no time to make! A tasty idea to make a quick dessert. 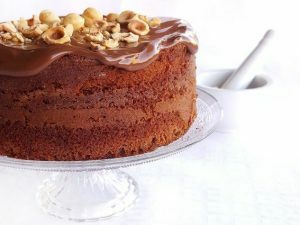 Are you craving something sweet and tasty, but don’t feel like baking? It will take you just a few minutes to prepare this delicious treat that everyone is sure to enjoy! 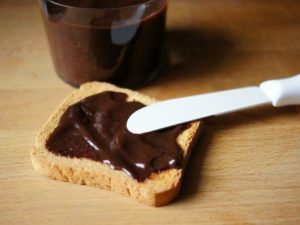 Ingredients: crustless sandwich bread, hazelnut cream, shredded coconut, melted chocolate. 1)Flatten a slice of bread by using a rolling pin. 2)Spread the hazelnut cream over it evenly and cover with shredded coconut. 3)Roll it up in plastic wrap and refrigerate for at least one hour. 4)Once they have cooled, dip half of each roll into some melted chocolate and immediately in some shredded coconut. 5) Refrigerate for other 10 minutes, and this tasty coconut treat is ready to be served! 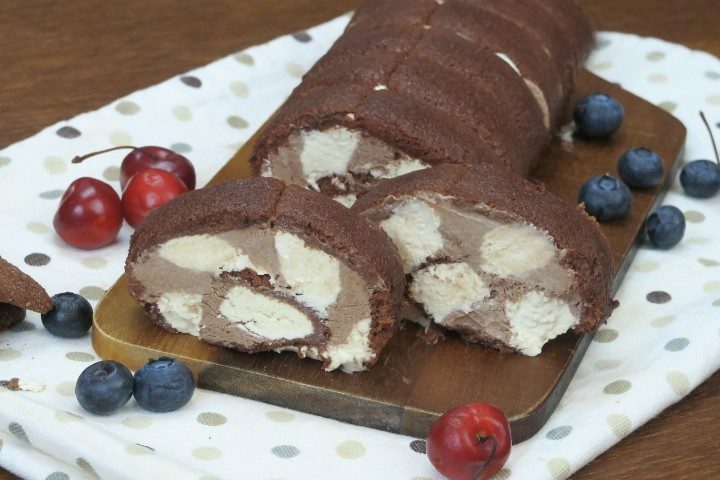 Try also this no bake chocolate roll. Ingredients: cookies, plastic wrap, 200ml whipped cream, 150g cream cheese, 1espresso coffee, 50g powdered sugar, milk. The first thing you will need to prepare is the whipped cream. Then, add the cream cheese, powdered sugar, and coffee to it. Divide this mixture into two separate bowls, add two teaspoons of cocoa powder to one-half of the mixture so you get two different color creams. Dip the cookies into the milk for a few seconds, and then lay them out vertically in three rows onto a sheet of plastic wrap. 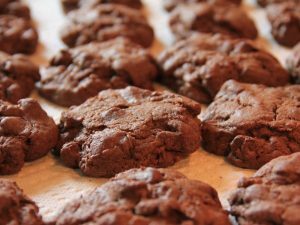 Using a pastry bag, alternate the two creams over the cookies. Carefully roll it up and freeze it for at least two hours.